In this Tutorial you will learn how to use a Windows native 32-bit printer driver so that you may use a printer in your network that’s connected to a computer running a 64-bit Windows Operating System. Are you having a hard time finding the correct printer driver? This has always been an issue, from my own experience. 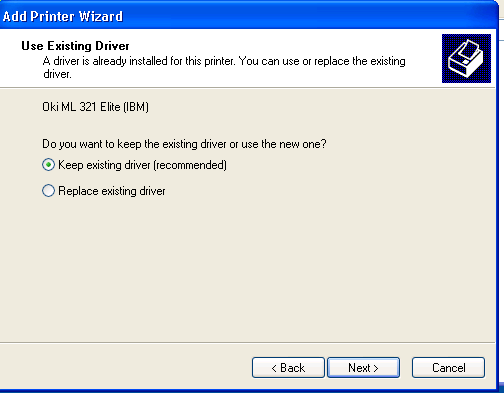 I have also struggled looking for printer drivers that would work and able to utilize the Windows native printer driver and I have succeeded when experimenting on finding the correct printer driver, this is also known as driver emulator. The Process: We will be experimenting an Okidata 420 Microline (OKI 420 ML) impact or dot matrix printer that is connected thru a USB cable into a Windows 7 Professional 64-bit computer and it is shared on the network. 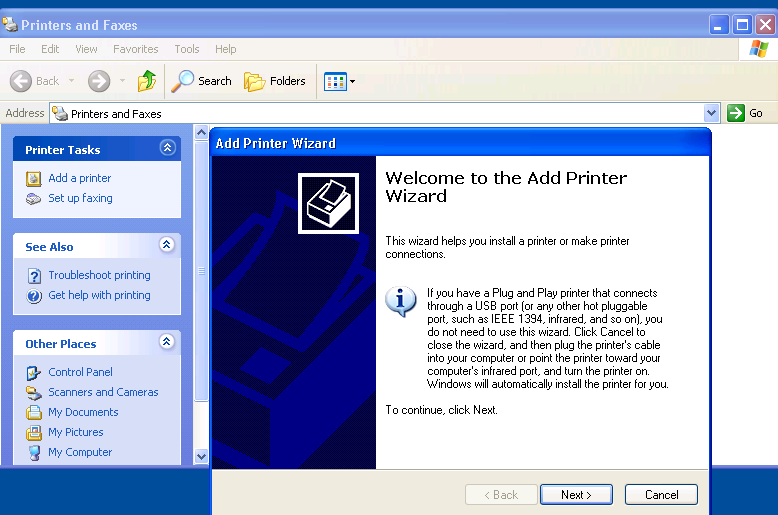 Begin with the ‘Welcome to the Add Printer Wizard’ from a Windows XP computer and locate a compatible driver to emulate the OKI 420 ML using the XP native printer driver. To begin: You will need to be an Administrator or a Member of Administrator Group. 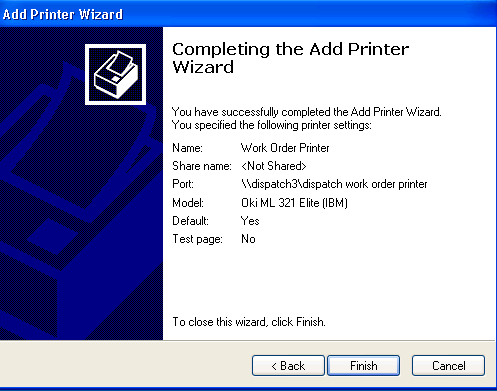 From a Windows XP computer, click on Start then Printers and Faxes then click on Add Printer to start the Welcome to the Add Printer Wizard, click on Next to continue. 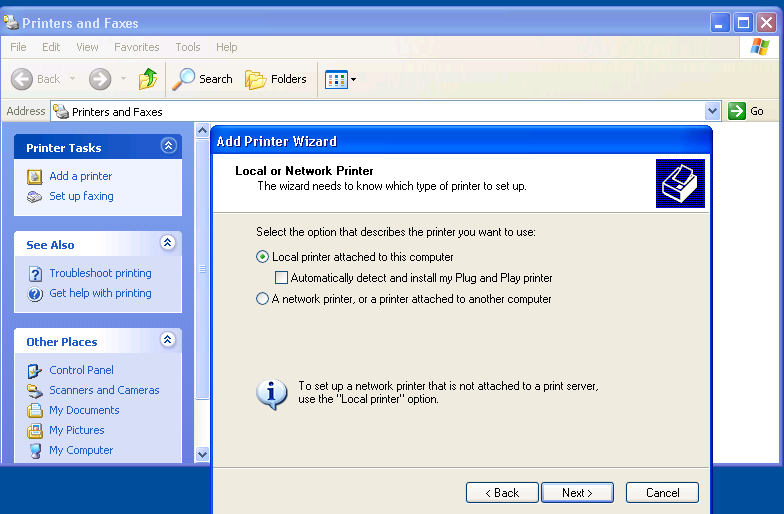 In the Local or Network Printer page, choose ‘Local printer attached to this computer’, uncheck the box next to ‘A network printer, or a printer attached to the other computer’, click on Next to continue. In the ‘Select a Printer Port’ page, choose Create a new port: type of port is Local Port. 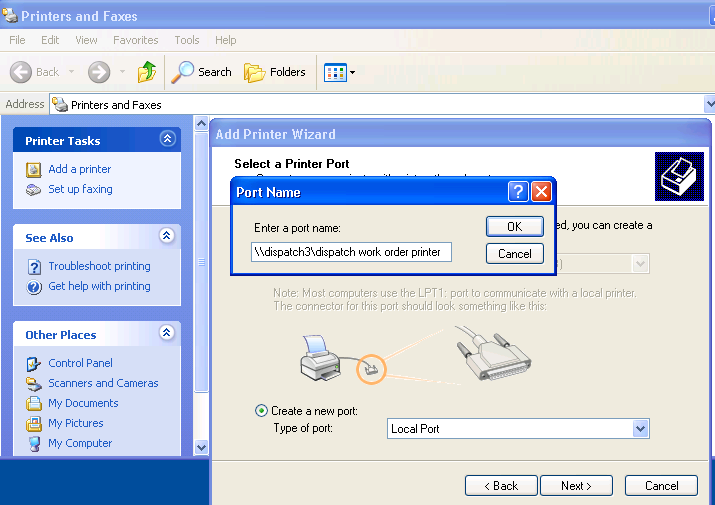 In the Enter a Port Name dialog box, type the path of the printer by using the following syntax: \\ComputerName\printer name then click on Next to continue. You will now see the Local Port that you have created, click on Next to continue. In the Install Printer Software page, select the printer driver that you are going to use, in this Tutorial we will select the Oki ML 321 Elite (IBM) because this driver is compatible with OKI 420 ML printer, click on Next to continue. In the Use Existing Driver page, select Keep existing driver (recommended), click on Next to continue. 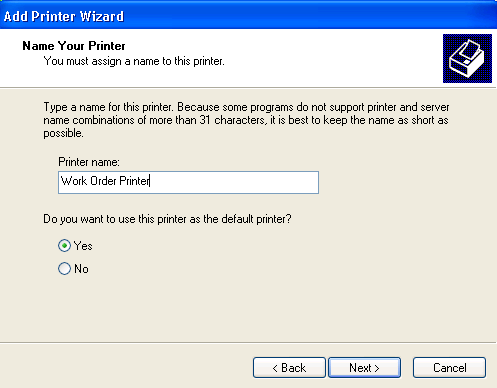 In the Name Your Printer page, type a printer name that you wish, click Next, then Next again to continue. In the Completing the Add Printer Wizard page click on Finish. You have successfully completed adding a Local printer port and utilized a windows native printer driver (emulator) called OKI 321 Elite(IBM) that’s compatible with an OKI 420 ML printer . You may use this procedure to any Deskjet or Laserjet Printers, feel free to do a little research and then experiment what other Windows native printer driver that you may use, this will save you plenty of time to browse online and search for the printer drivers.